We are pleased to inform you about the 6th International Symposium on Mining and Environmental Protection. 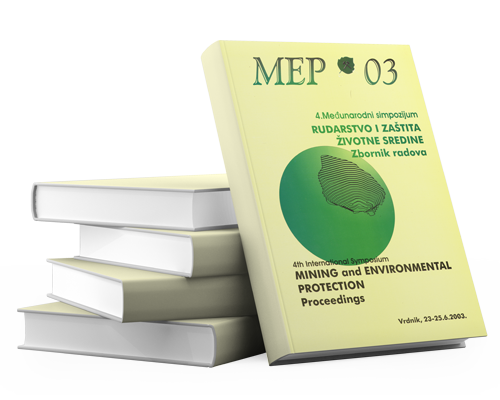 The 6th International Symposium on Mining and Environmental Protection will be held on June 2017 in Vrdnik, Serbia, organized by the University of Belgrade, Faculty of Mining and Geology in Belgrade - CENTER FOR ENVIRONMENTAL ENGINEERING. Previous Conference, were very successful. Scientist and companies from many countries gathered to share experiences, information and research results. The objective of this Conference is to bring together engineers, scientists and managers working in mining industry, research organizations and government organizations, on development and application of best practice in mining industry in the respect of environment protection.